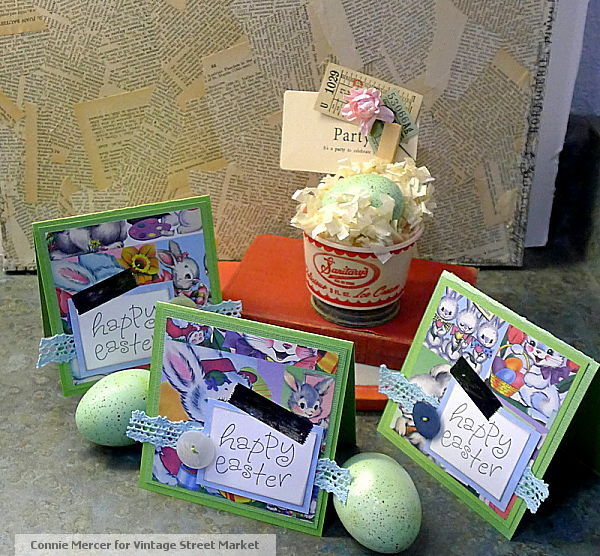 crafty goodies: Vintage Street Market~Easter and a hop!!! Hi guys~hope you all had a fabulous weekend. I have had sinus issues for days and ready for that to be gone:):):) Today my work is up on Vintage Street Market . I'm loving all of the new Vintage Fusion kits plus the new ticket and ephemera kits for sale. These projects are using that Vintage Fusion kits I keep talking about~mixing old with new or new with old :):) For links to the product I used go to my post on VSM ~ here. Here are the rules~easy peasy!!! 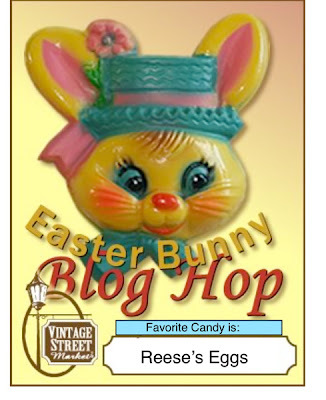 Go to the VSM site under "Giveaways" and list everyone's favorite Easter Candy. The team is listed so you will have everyone's blog to"hop" to !!! All you have to do is, find all of our favorite candy and post it in the comments. I have a "remember this" post for Try It Tuesday, see ya soon!!! Loving your sweet Easter cards and Easter "birds nest". Great job!! Soooooo cute!! LOVING those vintage images on your cards!!! Love these Easter vintage creations! Cute, I just love your fun combination of supplies. Connie these are fabulous..great Easter projects.. left you some love..
Great little bucket! Love the colours! This is soooo flippin' adorable. Absolute sweetness! I needed a big dose of today-and this is it.thank you! 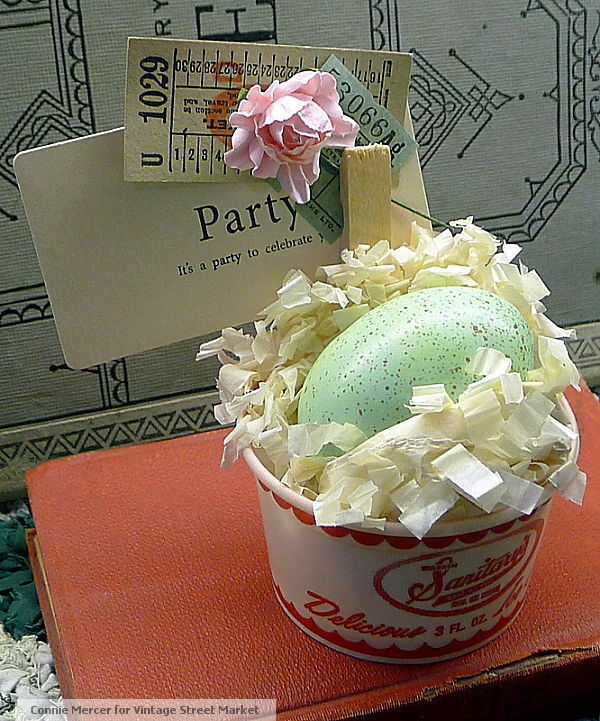 The cards are wonderful, but the egg in the pail sets it off! I need you to come and make my space into a beautiful vintage getaway. You have such a great eye.